Now, dockless bike-sharing is spreading to other countries. Both Ofo and Mobike are expanding aggressively abroad, launching in Japan, Singapore, Europe and North America. In July, Ofo claimed to have 6.5 million bikes in its global network. The scale and potential market of large cities attract companies to deploy their fleet. Dozens more startups are now on their path to implode, as competition is playing winner-takes-all strategy and leaving even players as large as Bluegogo was broken and devastated. 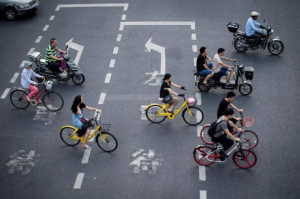 And with a bigger threat looming over — if the merger of Ofo and Mobike happens next year — it will mark the end of life for many smaller players.